Courtney Barnett has such a charming, matter-of-fact, way about her. Her music is very literal at times, recounting events in minute detail which makes her songs more relatable. Whether it is recounting a sever asthma attack on ‘Avant Gardner’ or her inner monologue on ‘History Eraser’, Courtney’s songs act like a window inside her head where we can all hear her thoughts with supreme clarity. 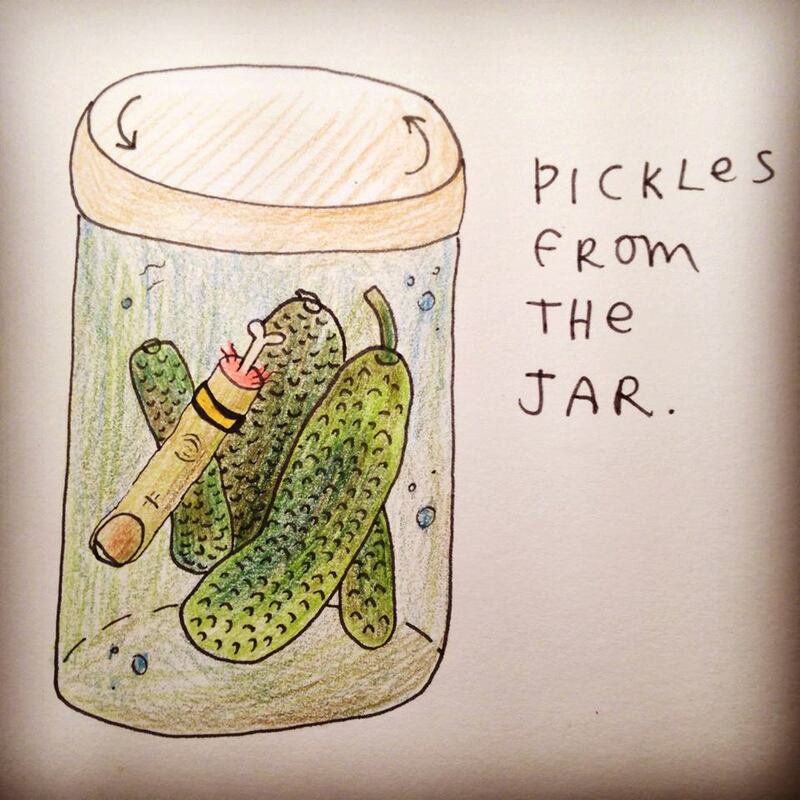 ‘Pickles From The Jar’ is a song about the differences between partners and why in the end it doesn’t matter. It’s a simple, driving song. I say bouncy, you say up-tempo. In talking about contrary qualities, Courtney highlights the nature of unlikely couples and why you sometimes need an opposite force to make equality. Also, sometimes a shared love for Christopher Walken helps; and really, who doesn’t love Christopher Walken. This song comes off the Milk! Records Compilation. After a successful Pozible campaign, a limited run (500 copies) of 10” vinyl will be produced featuring this very Courtney Barnett song and tunes from The Finks, Royston Vasie and Jen Cloher.